The Warrior of Rome is back. In 256 AD, the specter of treachery hangs ominously over the Roman Empire. The sparks of Christian fervor have spread through the empire like wildfire, and the imperium is alive with the machinations of dangerous and powerful men. All the while, Sassanid forces press forward relentlessly along the eastern frontier. The battle-bloodied General Ballista returns to the imperial court from the fallen city of Arete only to find that there are those who would rather see him dead than alive. 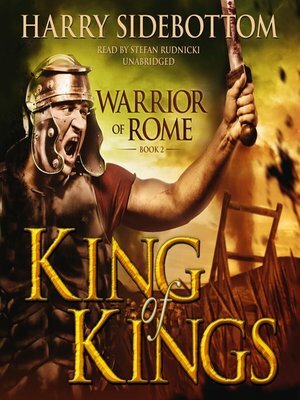 Ballista is soon caught in a sinister web of intrigue and religious fanaticism, and his courage and loyalty will be put to the ultimate test in the service of Rome and the emperor.